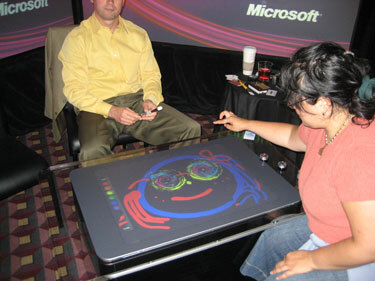 Microsoft announced today at D: All Things Digital conference their new “Microsoft Surface” product. 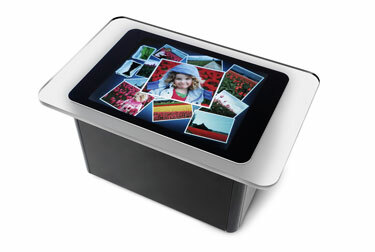 It’s a table that integrates a 30-inch display that allows one or more simultaneous users to interact directly with images on the screen. Users can paint with their fingers, move and resize items like photographs, and manipulate content—all without touching a mouse or a keyboard. There is a 18 minute video for a great demo and many other links. The price is around $10,000, but Microsoft expects the price drop down in couple of years.